This blog discusses how each of these three factors affects the availability and economics of spawning a DDoS attack and why they mean that things are going to get worse before they get better. Though dark web/deep web services are not served up in Google for the casual Internet surfer, they exist and are thriving. The dark web is no longer a place created by Internet Relay Chat or other text-only forums. It is a full-fledged part of the Internet where anyone can purchase any sort of illicit substance and services. There are vendor ratings such as those for “normal” vendors, like YELP. There are support forums and staff, customer satisfaction guarantees and surveys, and service catalogues. It is a vibrant marketplace where competition abounds, vendors offer training, and reputation counts. Those looking to attack someone with a DDoS can choose a vendor, indicate how many bots they want to purchase for an attack, specify how long they want access to them, and what country or countries they want them to reside in. The more options and the larger the pool, the more the service costs. Overall, the costs are now reasonable. If the attacker wants to own the bots used in the DDoS onslaught, according to SecureWorks, a centrally-controlled network could be purchased in 2014 for $4-12/thousand unique hosts in Asia, $100-$120 in the UK, or $140 to $190 in the USA. 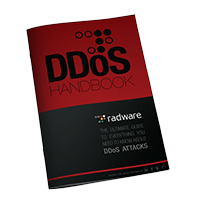 Also according to SecureWorks, in late 2014 anyone could purchase a DDoS training manual for $30 USD. Users could utilize single tutorials for as low as $1 each. After training, users can rent attacks for between $3 to $5 by the hour, $60 to $90 per day, or $350 to $600 per week. Since 2014, the prices declined by about 5% per year due to bot availability and competing firms’ pricing pressures. Botnets were traditionally composed of endpoint systems (PCs, laptops, and servers) but the rush for connected homes, security systems, and other non-commercial devices created a new landing platform for attackers wishing to increase their bot volumes. These connected devices generally have low security in the first place and are habitually misconfigured by users, leaving the default access credentials open through firewalls for remote communications by smart device apps. To make it worse, once created and deployed, manufactures rarely produce any patches for the embedded OS and applications, making them ripe for compromise. A recent report distributed by Forescout Technologies identified how easy it was to compromise home IoT devices, especially security cameras. These devices contributed to the creation and proliferation of the Mirai botnet. It was wholly comprised of IoT devices across the globe. Attackers can now rent access to 100,000 IoT-based Mirai nodes for about $7,500. With over 6.4 billion IoT devices currently connected and an expected 20 billion devices to be online by 2020, this IoT botnet business is booming. To buy a service, there must be a means of payment. In the underground no one trusts credit cards. PayPal was an okay option, but it left a significant audit trail for authorities. The rise of cryptocurrency such as Bitcoin provides an accessible means of payment without a centralized documentation authority that law enforcement could use to track the sellers and buyers. This is perfect for the underground market. So long as cryptocurrency holds its value, the dark web economy has a transactional basis to thrive. DDoS is very disruptive and relatively inexpensive. The attack on security journalist Brian Krebs’s blog site in September of 2016 severely impacted his anti-DDoS service providers’ resources. The attack lasted for about 24 hours, reaching a record bandwidth of 620Gbps. This was delivered entirely by a Mirai IoT botnet. In this particular case, it is believed that the original botnet was created and controlled by a single individual so the only cost to deliver it was time. The cost to Krebs was just a day of being offline. Krebs is not the only one to suffer from DDoS. In attacks against Internet reliant companies like Dyn, which caused the unavailability of Twitter, the Guardian, Netflix, Reddit, CNN, Etsy, Github, Spotify, and many others, the cost is much higher. Losses can reach multi- millions of dollars. This means a site that costs several thousands of dollars to set up and maintain and generates millions of dollars in revenue can be taken offline for a few hundred dollars, making it a highly cost-effective attack. With low cost, high availability, and a resilient control infrastructure, it is sure that DDoS is not going to fade away, and some groups like Deloitte believe that attacks in excess of 1Tbps will emerge in 2017. They also believe the volume of attacks will reach as high as 10 million in the course of the year. 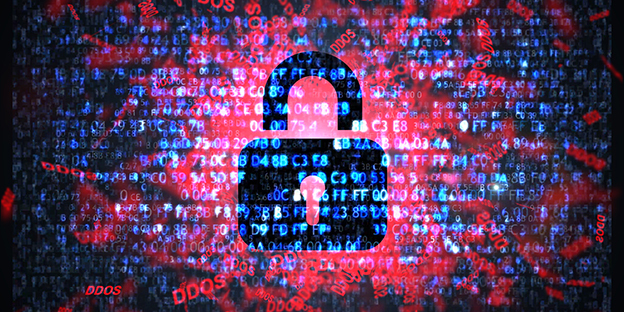 Companies relying on their web presence for revenue need to strongly consider their DDoS attack prevention strategy to understand how they are going to defend themselves to stay afloat. Previous PostMobile World Congress – Is It Over Yet? Next PostIoT Threats: Whose problem is it?